Perhaps the defining musical of the last decade, Spring Awakening combines an electrifying rock score and genre-defying writing to tell the story of sexual and adolescent discovery. Silenced and dismissed in the firmly censored world of 19th century Germany, a group of teenagers are forced to discover the truth behind their feelings unaided. They find that through each other they unlock a bold and brave new world – with both beautiful and tragic consequences. 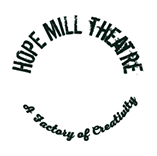 An international sensation and winner of 8 Tony and 4 Olivier Awards, Spring Awakening receives its first major UK revival in a bold new production at The Hope Mill Theatre, directed by Luke Sheppard (In The Heights; The Secret Diary of Adrian Mole Aged 13 3/4).